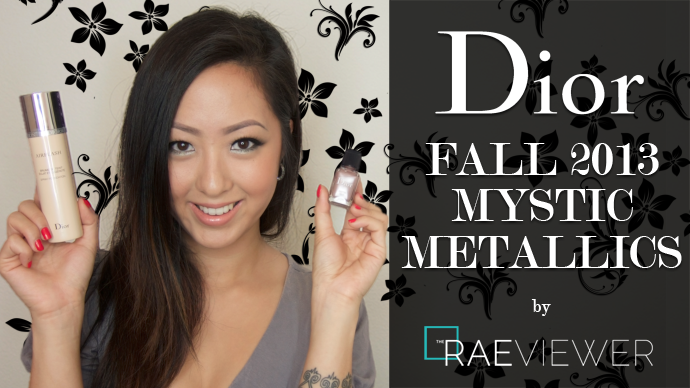 Dior's Mystic Metallics Collection is one of the most memorable from 2013 thus far. The colors are sultry without bordering on smoky, so it should appeal to even the most conservative of crowds. The Dior Blushes and Mono eyeshadows have been reformulated, repackaged, and relaunched but I chose to focus on the Fall color showstoppers and the new Sephora- exclusive Airflash products. Some of you have asked me about the Dior Mono Fusion shadows, but I much prefer the richer pigmentation and creamier textures of the Armani Eyes to Kill Silk Shadows and Chanel Illusion d'Ombres. P.S. Don't forget to check out my review of the lovely Destin nail polish here! The Dior Airflash CC Primer, $49 USD, is a lightweight spray that brightens dull complexions while evening out the texture of the skin. It is the sheerest, thinnest primer I have ever encountered, but it is very effective and calming on my normal skin. This primer does not color correct as well as other thicker, traditional primers do, but it does make my acne slightly less ruddy. I think dry skins would most appreciate the minerals and hyaluronic acid in this CC Primer formula. Very oily, however, skins may find the 'glow' to look simply greasy by the end of the day so be prepared to blot. This primer absorbs into the skin quickly, leaving a soft and supple canvas to help the Airflash foundation look its best. I don't like to use liquid foundation with this CC primer, just powder foundation and the Airflash. The Dior Airflash Matte Touch aerosol powder, $49 USD, is an ultra fine mist with sheer coverage intended to set makeup. It comes in one universal shade, though I find that it is ideal for medium complexions if sprayed closer at 4 inches. I recommend spraying at 6 to 8 inches away from the face for best results, but you can spray onto a brush and then apply the product to the skin if that is your preference. The velvety matte finish effectively smooths and perfects the skin while eliminating shine. Matte Touch is very useful for touch-ups throughout the day as well but to conserve product, I recommend using it after the bulk of oil build-up has been removed with a blotting sheet. I have normal skin and this product kept my skin matte for 6 hours. The Airflash range of products was designed to be used in conjunction with one another, so to achieve the most flawless and photogenic results possible, follow Dior's directions. 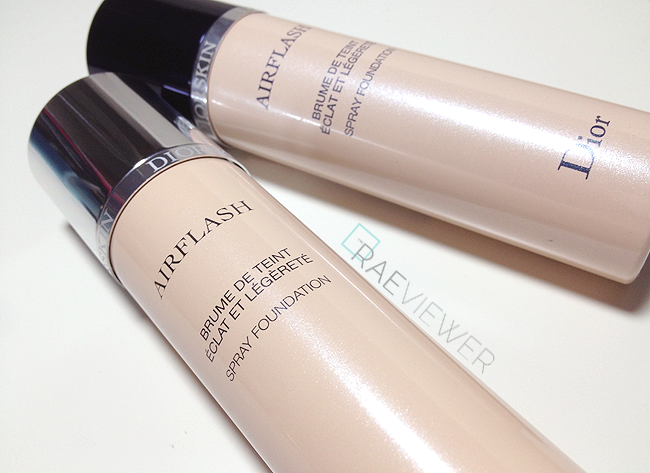 I truly love the polished look of the Airflash complexion! 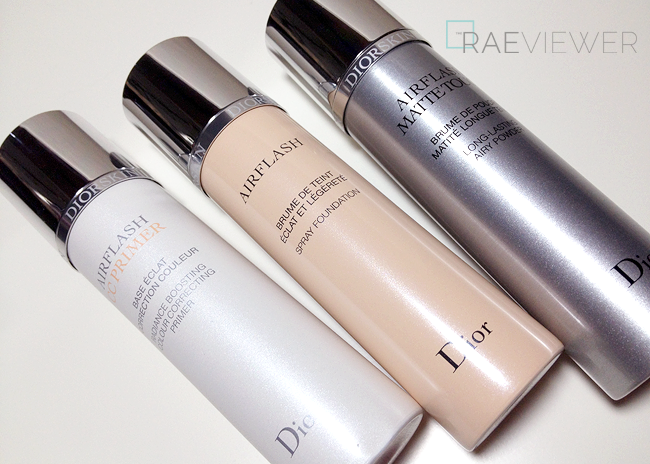 See my take on Dior's Fall 2013 Color and Complexion below.. I like the idea of a spray on foundation but the sad reality is that I would manage to make a huge mess. Also do you think they would run out quite fast? It looks like you used loads on one application and the cans are quite small. hello, how would you use the other palette, the "violets"?